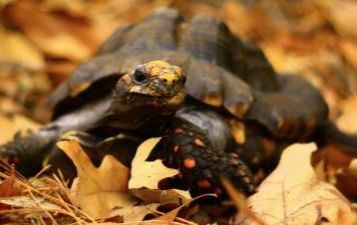 The Central MS Turtle Rescue was founded in 2013, born from the passion and dedication of two people who recognized the need for a qualified turtle rescue facility in the Central Mississippi area. We provide rescue and rehabilitation for wild turtles that are injured, sick, abused, neglected, or abandoned turtles and tortoises. Our goal is to release all native rehabilitated turtles back to their natural environment. Turtles that are not native to MS or are unable to be released to the wild are rehomed through adoption to qualified applicants or remain in our care to safely live out their lives. We are authorized wildlife rehabilitators under an Administrative Rehabilitation Permit through the MS Department of Wildlife, Fisheries and Parks. Toward the end of 2016 we decided to become more official. We started working on our ultimate goal of becoming a 501(c)(3) nonprofit rescue. One of the primary hurdles to get over was raising enough money for all of the legal and filing fee's. We launched a t-shirt fundraiser (our very first one), raised enough money and filed our application to the IRS. Two weeks later we were approved!